Black Friday officially marks the start of the holiday shopping season for all retailers. Specialty retailers in the patio furniture, barbecue/grill, and fireplace industries should use this period to attract new and repeat customers. Offering accessories or smaller items can be a great way to lure customers into the store. Gift baskets filled with barbecue sauces and grilling tools make perfect gifts for outdoor chefs. Gift certificates for those dreaming of new outdoor grills or patio furniture are also great gift ideas. Below are a couple of outdoor items that are perfectly suited for gift giving. Mallin’s new butler cart is ideal for outdoor entertaining, and it can easily turn a small family gathering into a grand event. Its unique shape and design are versatile, and the wheels make it very easy to move around, holding everything from cocktails to glassware for upcoming events. 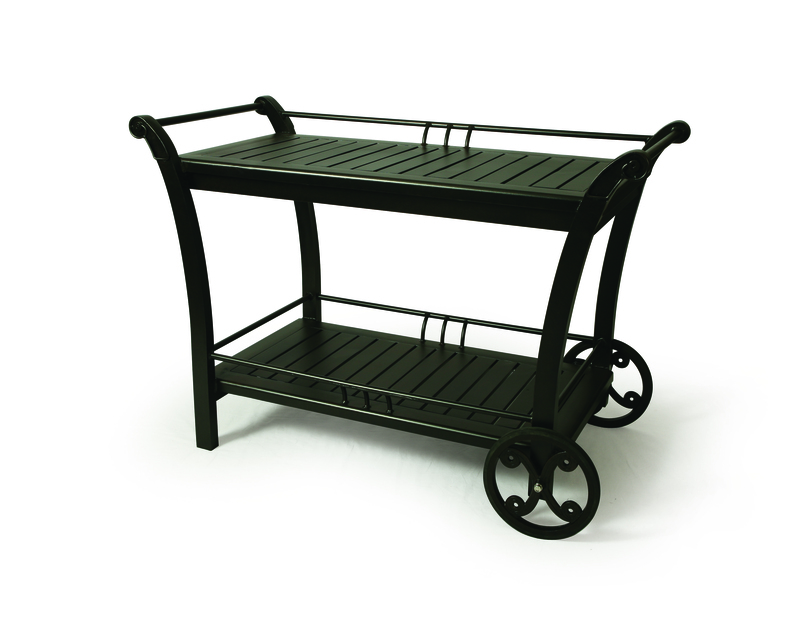 This butler cart is perfect for the person who loves to entertain. An exciting new way to serve skewers of a single ingredient, the Charcoal Companion Skewer Station, from The Companion Group, allows guests to customize their entrée. Grill different meats and vegetables, and then hang them for serving. 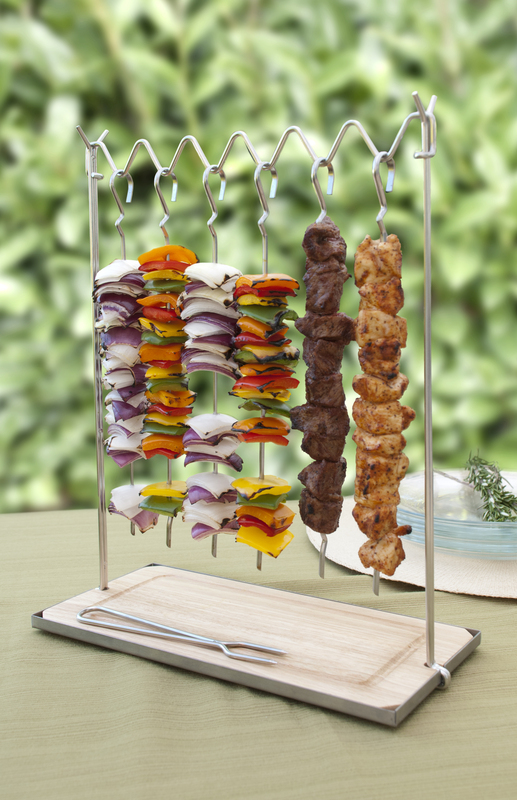 Guests can simply push the meat or vegetables from the skewer (with the included fork) onto plates held underneath. The grooved wooden tray prevents juices from spilling on a table. Comes with six skewers and two forks.